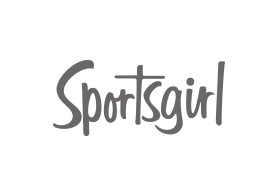 Melbourne Sportsgirls, get ready to kick some goals! Our favourite fitness, wellness and social media babes Steph Claire Smith and Laura Henshaw are joining us for an intimate Q&A session and book signing to celebrate the launch of their ‘Kicking Goals’ book in Sportsgirl stores at Sportsgirl Chadstone on Friday May 3rd! So come by and snap a selfie with the Keep It Cleaner girls, purchase the girls book in-store and have it signed, listen to a live Q&A hosted by Michelle and Zara of the Shameless Podcast, shop the 20% off Sportsgirl Chadstone exclusive, take a sip from our complimentary juice bar, and queue up early for your chance to win one of 10 free books for our first 10 guests to arrive!